Our Family Health Center at 22 Pine St., Bristol, offers a convenient primary care medical office. Specialty services are also available, including a lab; radiology; and physical rehabilitation; as well as urology, cancer, colorectal, gastrointestinal, and wound care. 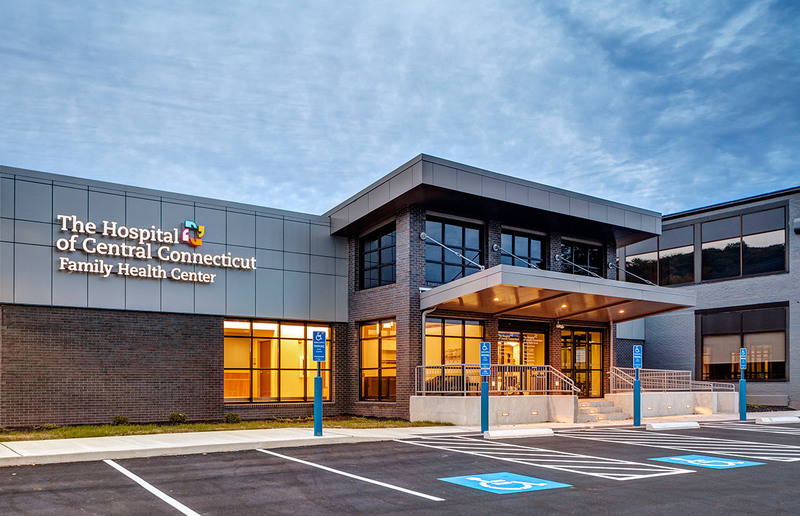 Hartford HealthCare Medical Group provides primary care from 7AM to 5PM Monday, Wednesday, Thursday and Friday, as well as 7:30AM to 7PM on Tuesday. The office can be reached at 860.584.8291. The outpatient lab includes routine services such as blood draws. It is open 7 AM to 5:30 PM Monday through Friday, and 8 AM to noon Saturday; it is closed Sundays and holidays. The lab can be reached at 800.286.9800. The radiology center offers X-rays Monday to Friday, 9 AM to 7 PM Saturday, 10 AM to 4 PM; and Sunday, 11 AM to 4 PM. The center is open on holidays, but operates at different hours. Please call ahead to confirm holiday hours. The center can be reached at 860.584.8297. The Hospital of Central Connecticut Rehabilitation Network offers a wide range of services for the treatment of musculoskeletal conditions, osteoporosis, chronic pain management, pregnancy and post-partum back care, balance and fall risk, functional capacity, headache management, neurological conditions, oncology conditions, surgical weight loss rehabilitation and work injury rehabilitation. The office is open on Mondays and Wednesdays from 8 AM to 4 PM, Tuesdays and Thursdays from 9:30 AM to 6 PM, and Fridays from 8 AM to 2 PM. The office can be reached at 860.584.1230. Urology services are offered from 8 AM to 4:30 PM on the second, third and fourth Friday of every month. To reach the office, please call 860.223.0800. Oncology services are provided on Thursdays. The office can be reached at 860.827.4185. Colorectal services are offered Monday, Tuesday, and Wednesday from 8:40 AM to 4:30 PM; Thursdays from 9 AM to 4:30 PM; and Fridays from 8:40 to 11:30 AM. To reach the office, please call 860.223.0800. Gastrointestinal services are offered on Thursday afternoons from 1:30 to 4:30 PM. To reach our office please call 203.237.2477. Wound care services specialize in treating non-healing wounds that may result from a variety of conditions, including diabetes and poor circulation. Advanced treatments at the Family Health Center include hyperbaric oxygen therapy. The center is open Monday through Friday 8 AM to 4:30 PM and can be reached by calling 860.584.8379. I-84 West to Exit 33 (Route 72W). The office will be on your left. I-84 East to Exit 31. Turn left at end of exit. The office will be on your right. Take Route 72 W toward I-84/Bristol. Continue on Route 72 W/I-84 to Exit 33. Keep left for Route 72 W.
Take Route 9 South to Route 72 West. Take Exit 28-28A for Route 72W. Keep left to continue on Route 72W. For a list of physicians at these locations and their phone numbers, visit our Find a Doctor Service, contact Hartford Hospital's Health Referral Service line at 860.545.1888, or email us at hrs@hhchealth.org.